I was born, raised, and received my education in the Bay Area. I received my Bachelor's degree from Cal State Hayward in 1987 and my dental degree from the University of the Pacific School of Dentistry, graduating with honors in 1990. I grew up in San Leandro and moved to Livermore after getting married to my beautiful wife, Christine. I have owned Pacific Dental Care and Fastbraces® since 1991. 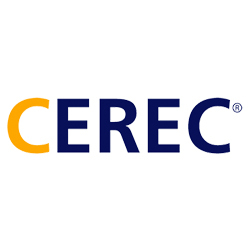 I extensively studied the newest techniques in restoring teeth to near natural strength and beauty with the CEREC®: SAME DAY RESTORATIONS system. Since 2001, my partner and I have placed thousands of same-day restorations. Before CEREC, we would have had to place an old-fashioned crown and taken at least two appointments to get the finished product. While there are still some instances where we still do the old style crowns, 90% of the teeth we restore can be done with a long-lasting, great-looking, ceramic restoration, in a single visit. Can your dentist do that? If you are missing teeth, I have extensive training in placing and restoring implants. Implants surgical techniques are constantly being updated and improved. To keep up requires constant training. I attend courses regularly and strive to use the latest techniques so our family of patients is well taken of. I am a proud Senior Master Affiliate provider of Fastbraces®Technology. Fastbraces® offers fast, safe, easy, and affordable braces for adults and children in the Pleasanton, California and entire Tri-Valley area. Want straight teeth in a short time. How about from 3 months to about a year? Fastbraces® may be your answer. 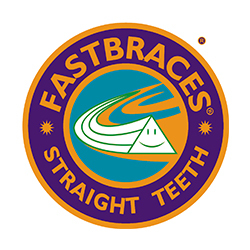 About 80% of the people seeking straighter teeth through orthodontics qualify as a Fastbraces® patient. 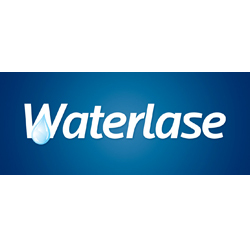 I am also a provider of the Invisalign® “Clear Aligner” orthodontic technique. 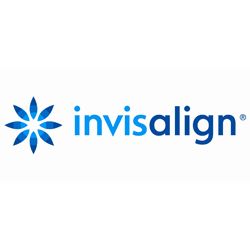 Invisalign is a great solution if you have had braces in the past and "forgot" to wear your retainer and suffered relapse. With the new one week protocol, treatment times have never been faster and more reliable. I have dedicated thousands of hours to advanced continuing education since 1990, which allows me to keep current with the ever-changing technology and procedures in dentistry in order to offer them to our patients at Pacific Dental Care and Fastbraces®. I am committed to providing state-of-the-art dentistry in a friendly environment. In my time away from the office, I spend as much time as possible with my lovely wife and grown children. Our oldest son is studying law at Santa Clara University; our middle son is a graduate of Cal Poly San Luis Obispo and is a STEM teacher in the Bay Area; and our daughter is currently a Junior studying nutrition at San Diego State University. We are very proud "almost" empty nesters. I enjoy all Bay Area sports; and am an A’s, Raiders, Warriors, and Sharks fan; and enjoy the rare day off by spending it with my family. My wife and I try our best to teach our children to give to the community they live in. To that end, our breast cancer charity is one way that we give. Another is my time as a volunteer recovery diver for the Alameda County Sheriff's Office of Homeland Security and Emergency Services. I first joined this great group of people in 1997. Our team is comprised of almost 40 volunteers from all walks of life from lawyers, to software developers, to, yes, a couple of dentists. Our task is to find objects, weapons, or victims in the bodies of water of Alameda County or adjoining counties seeking our help. This requires monthly training and meetings to stay current with safety practices and to ensure that we don't have accidents while trying to achieve our goal. The thousands of hours our team dedicates each year saves the county hundreds of thousands of dollars per year. Our efforts help the people in our community and it means a lot to give to the community in which we live. If you would like to help, let me know. So go out and find a way you can help your community. It could be as simple as walking a neighbor's dog to joining a larger group. Each of us can do a little, and together we can do a lot.